Overland tour with private car along the way go, no rush and enjoy your time by stopping anywhere you want to. 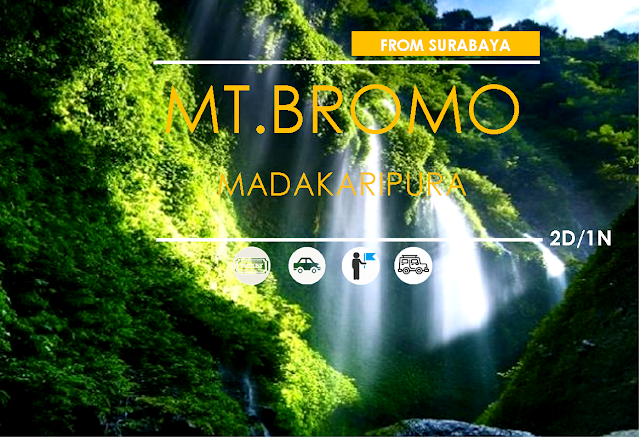 Started from Surabaya to get to great Madakaripura Waterfall and continued to get to Bromo for it's beautiful sunrise. Drop off back to Surabaya, Probolinggo, or other cities you prefer.